The Honey Bee Drones Are Coming, But Why? In a curious new study, researchers from The National Institute of Advanced Industrial Science and Technology in Japan have announced the creation of a honey bee drone for the purposes of pollination. A chemist named Eijiro Miyako was the brains behind this project, and explained that he was, “emotionally motivated,”, by, “TV programs about the pollination crisis, honey bee decline, and the latest robotics,”. The drone they constructed was a one-off and used a substance called ionic gel, a collection of complex molecules that is extremely sticky. His team began by covering regular insects in the gel, and then placing them near flowers that were giving off pollen. The bee drone seems to be effective. After examining the insects the team determined that ionic gel was successful in collecting pollen. The next step was to build a drone, and use the gel to simulate the work that a honey bee would do. Once constructed the drone was used to pollinate one kind of flower, and it appeared to be successful in its goal. The drone is at present much larger than most bees, and for the sake of this experiment it was controlled by a person using a remote. When interviewed Eijiro Miyako stated that, “I thought we urgently needed to create something for these problems,”, and that is a very curious position for a leading Japanese researcher to take when it comes to honey bees. Opinions of his initiative are mixed, but one British scientist broke down the numbers involved in the worldwide bee equation. “Consider just the numbers; there are roughly 80 million honeybee hives in the world, each containing perhaps 40,000 bees through the spring and summer. That adds up to 3.2 trillion bees. They feed themselves for free, breed for free, and even give us honey as a bonus. What would the cost be of replacing them with robots?”. Mr. Goulson brings up an interesting point: Even if we could design a bee drone that was autonomous, how could we produce it in sufficient quantities to make a difference? If this was purely an academic issue, it would be far easier to maintain a professional distance. When we consider that in the 2014-2015 season almost half of the honeybee population in the USA died off, it is way to see why people of science are starting to feel emotional. 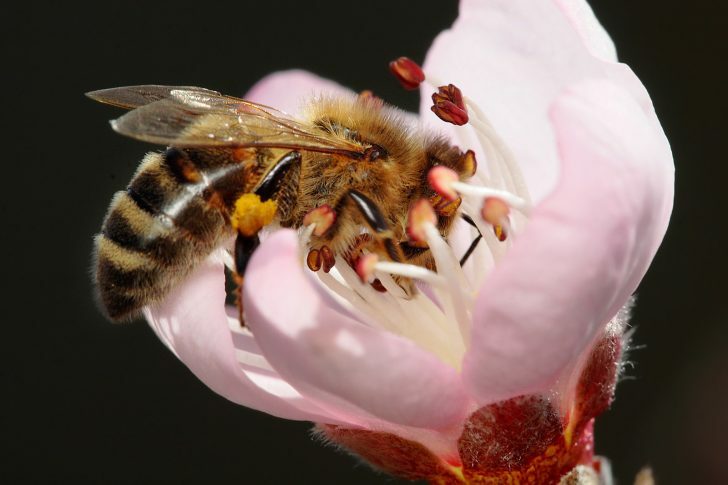 These losses happen at a time when bee populations have been declining for many years, and certainly this problem is beginning to be recognized for what it is; a threat to maintaining the current human population. The vast majority of plants rely on insects for pollination, though our staple food crops do not. What would would happen in the absence of bees is a real mystery. Einstein estimated that humankind would die off in 4 years in a world without bees. And more recent studies indicate the the continued loss of bees could result in the removal of up to 35% of the global food supply. Clearly that would lead to some heavy emotions around the globe. While the bee drone in a long shot, it may be able to help. What is imperative is that we understand why the bees are dying off, and see if there is anything we can do to make a difference. There are still a lot of bees left, and it is not too late. With all of the new things that humans have introduced into the environment over the last 30 years, the cause of the mass die offs could be anything. What is perhaps more important to understand is that while human innovations may have perceived benefits, there will always be unforeseen consequences as well. In this case, it would appear that the honey bees are paying the price for what could be our rush to implement technologies that are completely untested. Humans should bee more careful.